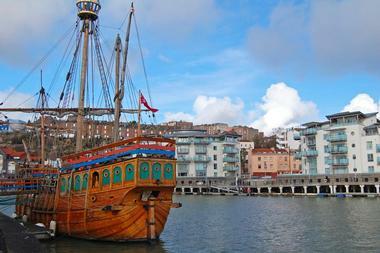 There are many famous to things to see and do in Bristol, some of which include Brunel’s SS Great Britain, Banksy street art tours, the Clifton Suspension Bridge, and Bristol Balloon Fiesta. Visitors won’t want to overlook the city’s independent cinemas, cutting-edge art galleries, trendy restaurants and bars, marvelous markets, and premier guided tours. Aerospace Bristol is a fascinating aerospace museum that is located at Filton Airfield, just north of Bristol, England. The museum is operated by the Bristol Aero Collection Trust, housing various collections of exhibits, and the Concorde Alpha Foxtrot – the last Concorde built, and last to fly. 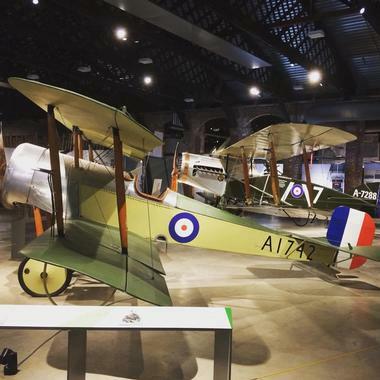 The vast, nine-acre site on the airfield includes two First World War Grade II hangars, providing 1,700 square meters of indoor learning space, over 5,000 square meters of outdoor testing and learning space, and 5,000 square meters of exhibition space for the public. Visitors will be able to explore over a decade of aviation history, spanning two world wars, the famous ‘space race,’ and modern day advances in technology. The Avon Gorge is a massive, one-and-a-half-mile long gorge that runs along the shimmering River Avon in Bristol, England. This large gorge runs from north to south, cutting through an impressive limestone ridge approximately one-and-a-half-miles west of Bristol’s city center. The gorge was slowly formed during the previous ice age. River Avon’s original route was blocked by enormous glaciers, forcing the river to create a new path through the very soft Carboniferous Limestone. The beautiful Clifton Suspension Bridge stretches across the gorge, offering visitors a unique vantage point for taking a few breathtaking photos. People are often seen hiking around the gorge and near the River Avon. Avon Valley Railway is an educational railway with special themed events and a station-based buffet year-round. 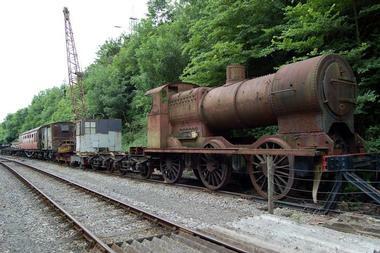 Travelers will find this museum situated along Bath Road, at Bitton Station in Bristol, England. Midland Railway opened the through-route in 1869; it served as a connection between England’s South Coast and Birmingham. The railway ended up later connecting to Somerset & Dorset Railway. The railway was closed starting in the 1960’s due to the Beeching Axe, however the Avon Valley Railway was well preserved by a group of volunteers with a strong passion and desire to see it survive. Today, three miles of scenic track can be used by restored locomotives and carriages. 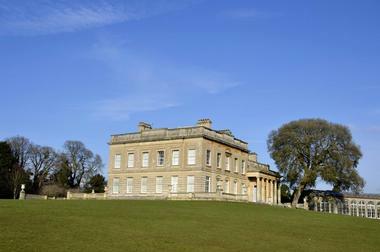 The Blaise Castle House Museum is a beautiful museum where visitors can explore what the past was like, with some artifacts dating back 300-plus years. Travelers will find this fascinating museum located on Henbury Road in Bristol, England. Visitors can peruse the house and marvel at the exquisite paintings, doll houses, toy soldiers, and train sets; there’s also a large costume collection with over 10,000 items, some of which date back to 1730s. Visitors will also have the chance to explore washing, cooking, and other daily domestic duties that were done in Bristol homes throughout the last 300 years. Beyond the house, visitors will find a dairy garden, orangery, amphitheater, castle, and kitchen garden. Brandon Hill, sometimes referred to as St Brandon’s Hills, is a sweeping hill that is situated close to Bristol, England’s city center. 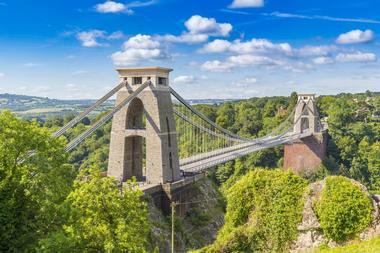 It is positioned between the Hotwells and Clifton districts, in southwest England. At the summit of the hill, visitors will find the Cabot Tower. The tower, opened in 1897, celebrated John Cabot’s historic 1497 voyage that ran from Bristol to Newfoundland. Visitors will appreciate the expansive hilly park, providing them with great opportunities to enjoy lovely picnics, while soaking in beautiful views of the surrounding nature reserve. There is no fee for admission, the park is open to the public at all times. 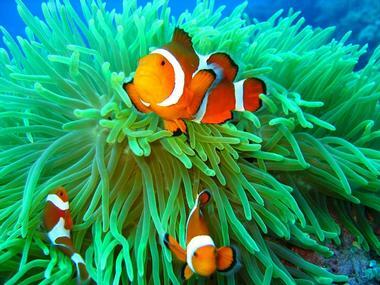 Bristol Aquarium is an indoor and outdoor aquarium that is located on Anchor Road in Bristol, England. The aquarium features huge tanks filled with tropical and Amazonian fish; there are also underwater tunnels for the ultimate viewing experience. Visitors will have the opportunity to dive into today’s oceans and discover the incredible wonders found within this deep, colorful aquarium. Visitors can explore over 40 naturally-themed displays, spotting thousands of incredible aquatic creatures, such as piranhas, puffer fish, seahorses, rays, tropical sharks, and so much more. Some of the popular displays include The Sunken Ship, The Urban Jungle, The Underwater Tunnel, and The Bay of Rays. 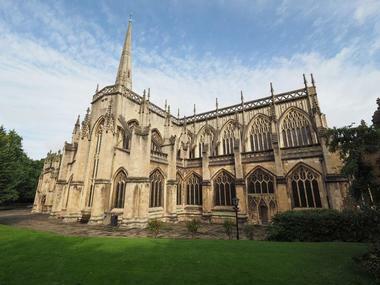 Bristol Cathedral, formerly recognized as the Cathedral Church of the Holy and Undivided Trinity, is now the Church of England cathedral, located in the city of Bristol, England. Visitors will have the opportunity to take a step back through time on one of the cathedral’s regular guided tours. 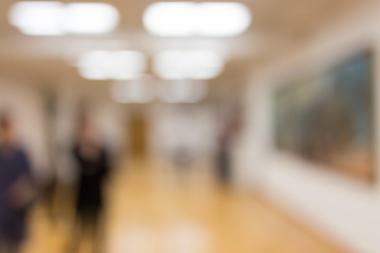 The open tours are available on Saturdays at 11:30AM and 1:30PM, and on Tuesdays at 2:15PM. The schedule can change based on special events or services, so visitors will want to verify hours beforehand. The tours of the cathedral are complimentary, however small donations are always appreciated. There are leaflet guides available online in several different languages for the convenience of those taking a guided tour. 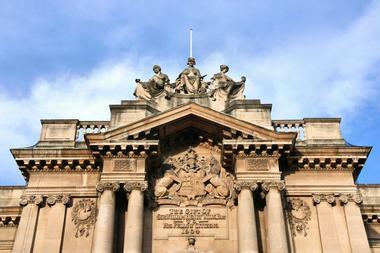 Bristol City Museum and Art Gallery is a museum that features geology, archaeology, and art, including a Romany caravan, fossils, and rare pieces by local artist Banksy. Travelers will find this fascinating museum and art gallery located on Queens Road in Bristol, England. The Masters of Japanese prints: Life in the city, is an exhibition that features original woodblock prints, taking a glimpse inside what Japan’s sophisticated urban culture looked like during the 18th and 19th centuries. Visitors will appreciate the complimentary admission into the museum, where they can explore the numerous collections of history, nature, and art, all on display within this magnificent building. Bristol Harbour is a large harbour that is located in the city of Bristol, England. It covers an expansive area of nearly 70 acres. The harbour has been around since the early 13th century, but was fully developed into what visitors see today in the beginning of the 19th century. It is often referred to as the “Floating Harbour,” due to the water level remaining constant and unaffected by the tide of the Avon River. Visitors can enjoy fun activities that include the annual Harbour Festival, exploring museums and art galleries, or grab something to eat and drink at a nearby restaurant. Bristol Zoo Gardens is a magnificent zoo that is located off of College Road in Bristol, England. 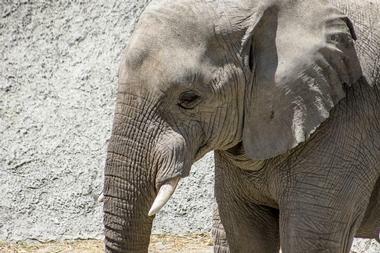 The zoo strives to defend biodiversity by conserving habitats and endangered species, breeding threatened species, and educating the public about the natural world. The zoo was first opened to the public in July of 1836, and has since saved over 175 different species of animal from extinction. The zoo offers a number of fun and exciting experiences for visitors to enjoy, such as ‘meet and greets’ with penguins, red pandas, fruit bats, or lemurs; the VIP Lion Feeding Experience, VIP Gorilla Experience, Keeper for the Day, and Junior Keeper Experience. Cabot Tower is a 105-foot tower that was constructed in 1897 to celebrate the Bristol to North America voyage of John Cabot. 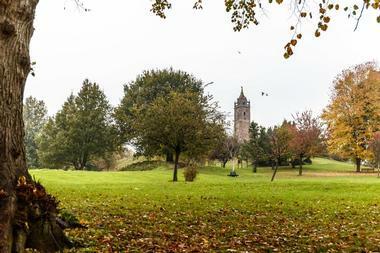 Brandon Hill has the distinct honor of being Bristol’s oldest park, where visitors can enjoy spectacular views over the Harbourside area and city. Situated just off of Park Street, in the West End, the park features a beautiful nature conservation area and walking paths, as well as a children’s recreation area. 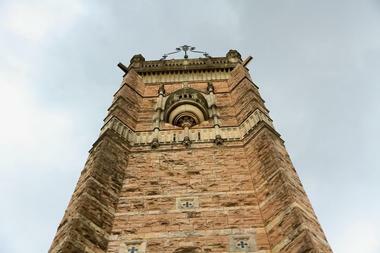 This magnificent tower has been made from red sandstone that has been covered in cream Bath stone. Visitors will appreciate the free entry into the tower, as well as the panoramic views from the top. 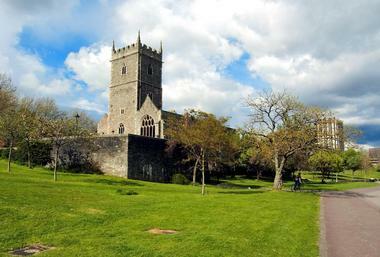 Castle Park is a sprawling city park that is located just off of Broad Weir in Bristol, England. The park is also bordered by Castle Street, Wine Street, Newgate Street, Lower Castle Street, and the Floating Harbour. Visitors will find that there are still remains left of Bristol Castle’s walls, keep, and vaults. The park features a bandstand for music sessions and events, St Peter’s Church, a physic garden that is used for medicinal plants, and Silver Birch trees commemorating the seven beach landings on D-Day. 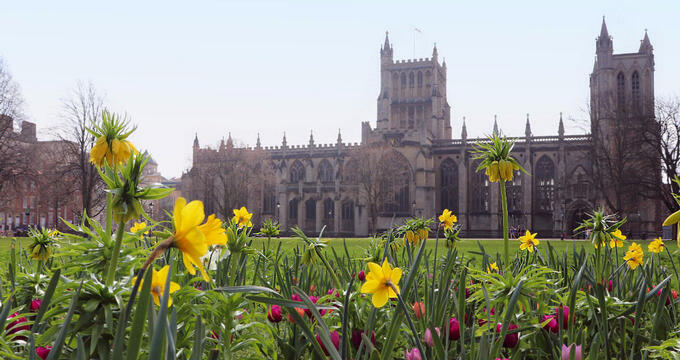 The park is open to the public, and is an excellent way to spend the day when in Bristol. 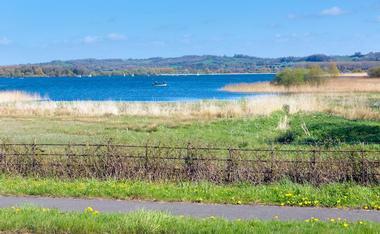 Chew Valley Lake is well-known for its extraordinarily scenic beauty and premier fly fishing. The lake is situated approximately 12 miles south of downtown Bristol, England. The condition and size of trout caught here, as well as the wide variety of fly patterns and fishing methods available, make Chew Valley Lake a popular fishing competition venue. Visitors can bring their furry little friends with them and take a scenic walk around the lake on the paved paths. There’s also a wonderful opportunity for bird watching, as there are over 270 different species of birds that have been recorded around the lake. The lake has been designated a Site of Special Scientific Interest, as well as a Special Protection Area. 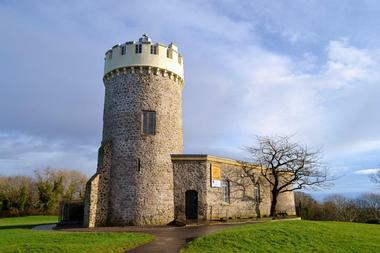 The Clifton Observatory is a historic windmill that features an observation tower located in Bristol, England. The history of the windmill dates all the way back to the year of 1766, when it was originally used for corn, before being used for snuff (tobacco). It was in 1828 when William West, an artist, rented the property as his studio. He transformed it into the iconic building that visitors recognize today, installing a large telescope within the tower, thus creating the Observatory. He would later replace the telescope with an impressive camera obscura, a sloping mirror, and 13cm convex lens – which projects panoramic views of the surrounding area. 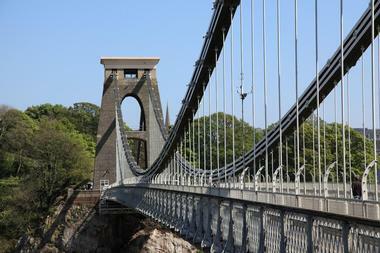 Visitors will see the Clifton Suspension Bridge, Clifton Downs, and Avon Gorge. The Clifton Suspension Bridge is a magnificent suspension bridge that spans the River Avon and Avon Gorge, linking the English village of Clifton in Bristol to Leigh Woods within North Somerset. Since the opening of the bridge in 1864, it has been used as a toll bridge; income generated from the bridge goes into a fund that is used for its maintenance and repairs. There’s a new Visitor Information Centre that is located on the Leigh Woods side of the bridge. Visitors can watch informative DVD’s about the bridge, explore objects the bridge’s maintenance staff have collected, and peruse the souvenir shop. Visitors will appreciate the free admission, as well as the complimentary tours. The Kennet and Avon Canal is a meandering waterway in south England that stretches nearly 87 miles in length, made up of a couple of stretches of navigable river linked together by a canal. Kennett and Avon Canal is typically used when referring to the full length of the waterway, rather than just the central portion of canal. 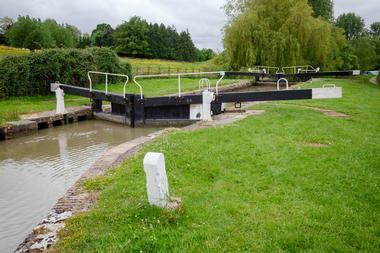 The waterway travels along the same course as River Avon before it links to River Kennet at Newbury, from there onto Reading on River Thames. Visitors can enjoy scenic walks and bike rides along the canal, or cruise its waters on a stand-up paddleboard, kayak, or canoe. M Shed is a museum that features colorful exhibits that detail the history of Bristol, England and its people, within a dockside transit shed from the 1950s. The Bristol Places gallery is focused on the dynamic and physical aspects of the city, while the Bristol People gallery explores various activities both from the past and the present that helped shape Bristol into the city it is today. 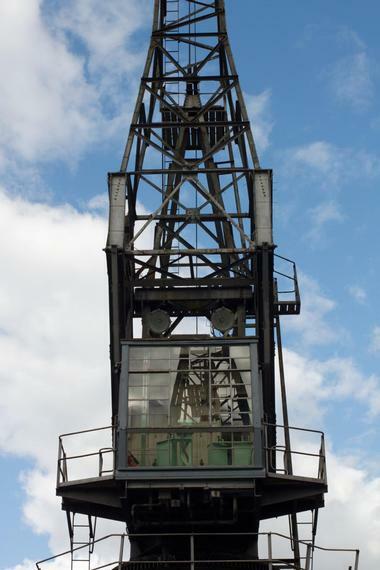 The museum also features a number of working exhibits, such as the Electric Cranes and Fairbairn Steam Crane; the Henbury and Portbury steam locomotives; the Fire-boat Pyronaut, as well as the John King and Mayflower vessels. M Shed provides a wonderful way to spend the day in Bristol. Noah’s Ark Zoo Farm is a fun, family-owned zoo that is set on a 100-acre working farm within the beautiful North Somerset countryside, approximately six miles south of Bristol, England. Founded by Christina and Anthony Bush, Noah’s Ark first opened as a visitor center in 1999, quickly becoming a popular day out for many locals and visitors. 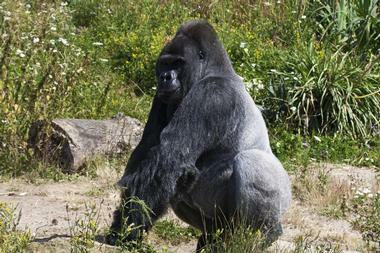 The zoo has since evolved into the award-winning attraction it is today. Welcoming over 170,000 visitors each year, Noah’s Ark is excited to share their large animal collection for all who wish to see. Visitors will see everything from African elephants to giraffes to lions to tigers to rhinos, and so much more. Red Lodge Museum is a historic, Tudor/Elizabethan house museum that is located on Park Row in Bristol, England. The buildings construction began somewhere between the years of 1579 and 1580, possibly designed to resemble the workings of Italian architect, Sebastiano Serlio. The main additional phases of the building are from the early 17th and 19th centuries. There are many fascinating rooms and spaces around the museum for visitors to explore, including The Knot Garden, The Great Oak Room, The Original Lodge, The Family Home, and The Victorian School. With more than 400 years of history around the property, the museum provides an idyllic location for school field trips. Souk Kitchen is a sensational Middle Eastern restaurant that is located on North Street in Southville, a bustling inner city ward in Bristol, England. This friendly diner serves up dishes that include mix-and-match mezze platters, borek (filo pies that are stuffed with vegetables or meats), and flame-grilled kebabs. 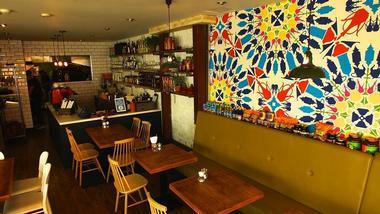 Souk Kitchen delivers honest food, made by honest people. Weekend brunches bring in droves of hungry patrons eager to explore the mouthwatering creations available on the menu. Some may even linger over the Shakshouka – a dish prepared with onions and chili, tomatoes, poached eggs, and Turkish beans on fresh sourdough, with a Harissa Bloody Mary on the side. 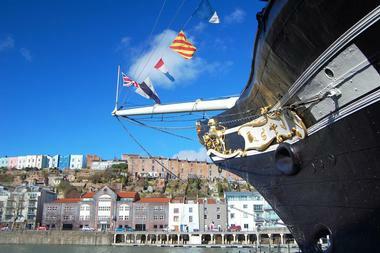 Brunel’s SS Great Britain is a fascinating ship museum that was once a passenger steamship ahead of its time. Locals and visitors will find this museum situated at the Great Western Dockyard, just off of Gas Ferry Road in the city of Bristol, United Kingdom. The SS Great Britain has been recognized as the world’s longest passenger ship from 1845 to 1854. Isambard Kingdom Brunel designed it to be part of the transatlantic service of the established Great Western Steamship Company. It ran from Bristol to New York. There are several sections of the ship that offer different pieces of information about its history for visitors to explore, such as the Engine Room, Galley, Stores, First Class, and Weather Deck. 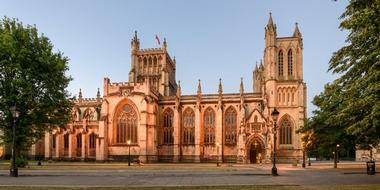 St Mary Redcliffe is a historic Anglican church that is located in Bristol’s Redcliffe district. It is conveniently situated just a short walk from the Bristol Temple Meads station. The church was constructed throughout the 12th and 15th centuries, and has been a holy place of worship for Christians for more than 900 years. 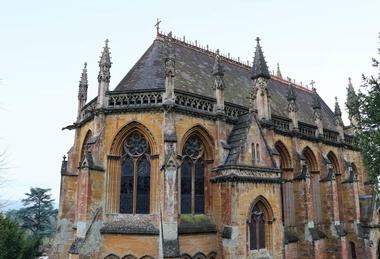 Visitors will appreciate the impressive masterpiece of Gothic architecture on display. The church holds a number of community events every month for guests to attend, such as Faithspace Coffee Morning, Holy Communion, Christian Meditation, Jazz in the Undercroft with The Bluenotes, and the Redcliffe Gardening Group. 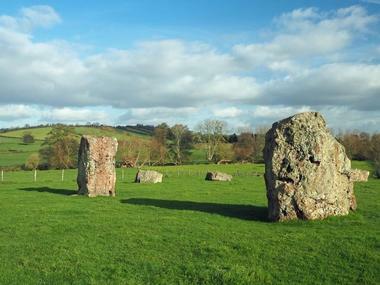 The Stanton Drew Circles and Cove are a historical landmark that are located just outside of the Stanton Drew village, in Somerset, England. The largest circle is called the Great Circle, it measures 113 meters in diameter, and is Britain’s second largest circle made of stones. The landmark is widely considered to be among the largest and most rarely-visited Neolithic monuments to have ever been built. Entrance to visit the landmark is free of charge; and visitors are likely to come across farm livestock and other dogs when visiting – so bringing pets is prohibited. Travelers visiting for the first time will have the opportunity to capture some magnificent photos. Tyntesfield is a massive Victorian Gothic Revival home and estate that is located near Wraxall, in North Somerset, England. It’s a Grade one listed building that got its name from the Tynte baronets, who owned estates within the area, beginning around the year 1500. Visitors will have the opportunity to enjoy information-filled guided tours, take scenic walks through the estate’s gardens and parklands, and enjoy wildlife viewing. From dragonflies to deer, bats to badgers, and reptiles to fungi, visitors will appreciate the natural diversity that surrounds the estate. Tyntesfield is a large, working estate with grazing animals, crop farming, and a bountiful Kitchen Garden that produces fresh ingredients for the estate’s café and restaurant. The University of Bristol Botanic Garden is a magnificent botanical garden that is located in Bristol, England. After having to move the garden to an alternate location within the city, it found it its final resting place at its current site within Stoke Bishop. The garden features a large diversity of plants that include several exotic species, arranged in inspirational ways that create striking backdrops for visitors to enjoy. The garden’s core consists of four different plant collections; Useful Plants, Local Flora & Rare Native Plants, Mediterranean Climate Regions, and Evolution. 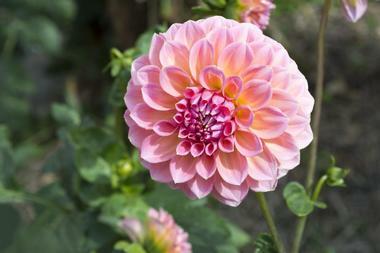 Visitors will see many favorites, like beautiful orchids, blooming cacti, and many types of carnivorous plants.